Today’s tournament had some of the newcomers returning to improve their games, and pitting themselves against BSC regulars. The competition was a league format; everyone played each other once, with semis and final to round off the day. Player of the day award must go to Andy Rigden, who has really improved his game, no longer chaotic and erratic; Andy has adopted a more measured strategy which saw him almost to the final of last month’s tournament, and pushing Rik all the way for the league top spot this time around. The table saw Rik at the top, Andy a very close 2nd, Giuseppe 3rd, and Gus making it into 4th. 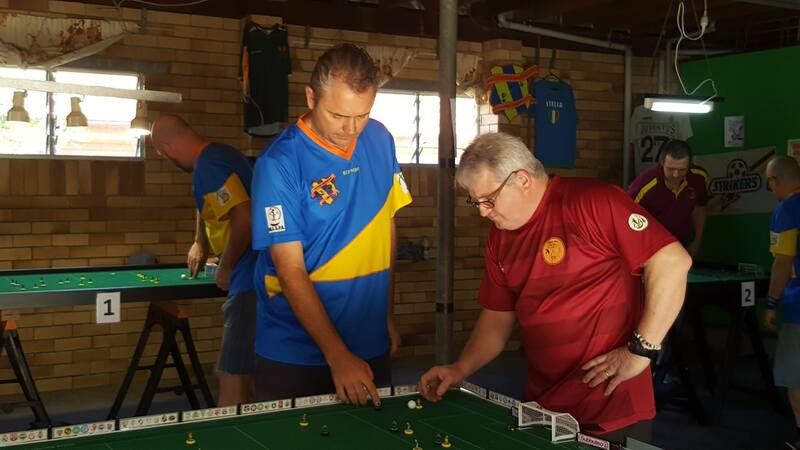 Gus and Andy were both guilty of own goal gaffes, Andy timing his to perfection in a semi final showdown with Giussepe, which condemned him to 3rd place playoff, in which he and Gus settled for a 3-3 draw. 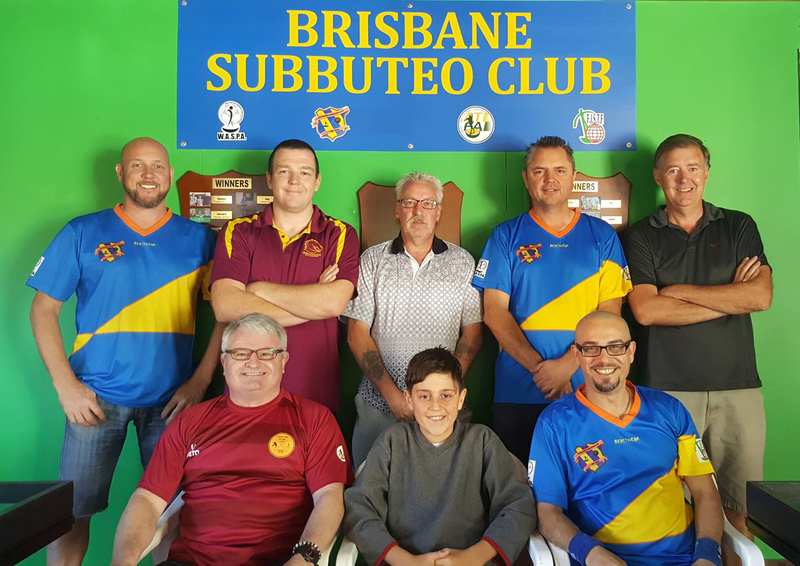 So the final was again played out by Rik and Giuseppe, a tough battle, good quality game saw Rik go 2-0, but Giuseppe changed to all out attack to rescue the game, and was rewarded by 2 goals as a result. Extra time couldn’t separate them, so penalty kicks determined the winner, which Giuseppe took 2-0. It was great to have Derek returning to the game after many years in the wilderness, he showed that he still has a ‘subbuteo brain’. Gareth and Will are going in the right direction, and playing regularly will help their development. Shane did well with 5 draws and a good defensive performance, and Gus battled to recover from a disastrous spillage of his bottle of polish! 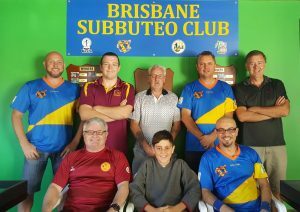 Giuseppe as always, hosted a tremendous day for the guys, our members showed friendly rivalry, and courteous sportsmanship in equal measures, which makes BSC a great place to come and take part. 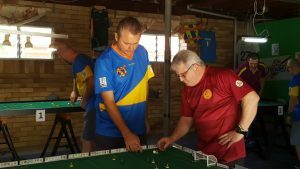 This entry was posted in News and tagged brisbane subbuteo club on 04/10/2016 by ajebec.